Uganda aims to impose financial penalties from March on its sole power distributor Umeme Ltd for any frequent and prolonged supply outages, the regulator said. The public has long complained about high tariffs and long power cuts, while unreliable supplies add extra costs to businesses, which often run costly stand-by generators to keep operations going during outages. 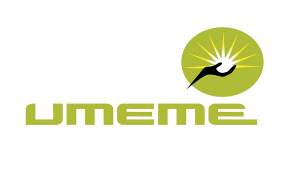 The Electricity Regulatory Authority (ERA) said in a notice published on its website that it intended to set targets for “reliability and quality” of power supplied by Umeme, which secured a 25-year licence in 2005 to be the sole distributor. It did not give details of the proposed penalties. ERA spokesman, Julius Wandera, said the regulator planned to impose the new terms in March, after a public consultation. “Under the current system, it was just us using the carrot and begging them to reduce outages. Now we are introducing the stick,” he said. Umeme is majority owned by the state-controlled pensions fund NSSF, while South African funds including Allan Gray, Kimberlite Frontier Africa Master Fund and Investec Asset Management Africa Fund also have stakes. The East African country’s grid now reaches just 23 percent of the population of 40 million. Umeme has said it plans to spend $1.2 billion over seven years to expand and upgrade the grid to cope with additional supplies from new dams being built that will double the nation’s generation capacity from about 800 megawatts now.